If you listen to people in the know, it’s not a matter of if your company will be the victim of a data breach, but when. Not only are most businesses (both large and small) woefully under-protected when it comes to system security, but hackers are finding more and more sophisticated ways to break in all the time. Of course, there are steps you can take to protect yourself from an attack, such as hiring a network administrator or computer security specialist to build appropriate security infrastructure and manage your system. You might also hire an IT firm to support and protect your technology environment. Even with the right equipment, software, and professional help in place, however, there are still a few things you can do to improve your network security over time. 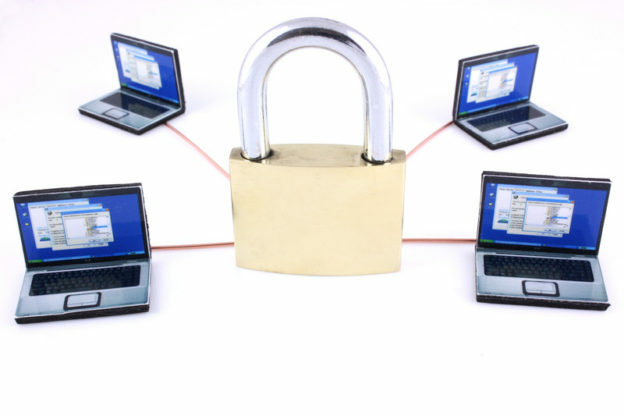 Here are some essential tips for any business interested in better network security. If you know anything about technology, you probably know that it’s constantly improving. Once a piece of hardware or software has been released, the company that created it continues to support it. This means problems are addressed with downloadable patches, or updates, that fix known issues. In some cases, you can simply opt in to receive automatic updates as they become available, or you can choose to be notified so that you can at least decide whether or not you want to download them. However, it’s not a bad idea to regularly check for software and firmware updates you may have missed. When your computer and network components are up-to-date, you have the best chance to secure your system. How do you know when it’s time to upgrade to new and improved hardware and software? With technology advancing at an alarming rate, it seems like you’ve barely implemented new solutions when something better hits the market. Most businesses can’t afford to upgrade even annually. In truth, if you choose the right components, you needn’t upgrade often. Reputable consulting firms can assess your current system and give you options for upgrades that will serve you now and over the course of several years, most likely. Or you could turn to your technical support team to help you figure out when to start looking for something new. A good rule of thumb is when manufacturers no longer support hardware or software. At that point you shouldn’t wait any longer. This is a big one. Hackers frequently use passwords as a way to break into networks. The best way to avoid this is with proper password protection. This begins with requiring employees to create strong passwords of 8-12 characters, containing upper and lowercase letters, numbers, and symbols. The passwords should not contain personal information (names, birth dates, etc.) and you should prompt employees to change passwords frequently. Don’t forget training. You need to have clear policies in place outlining rules about protecting passwords, even from coworkers. It’s always a good idea to have clear and concise policies in place when it comes to the security of your computer networks. However, if you want to ensure that employees behave appropriately, it’s best to implement mandatory training so that they know exactly what the rules are, how to behave when using company resources, and what consequences they’ll face for breaking rules and putting the company at risk of a breach in the process. Often, breaches occur not because of inadequate protections, but because of employees visiting dangerous sites, clicking harmful links, or downloading files that contain malware. These actions allow hackers to walk right in the front door, so to speak. By providing every employee with training on how to spot and avoid such issues, you have a much better chance of staving off a breach. Even with proper antivirus/anti-spyware/anti-malware software in place, you can’t necessarily prevent employees from engaging in dangerous activities like clicking links and downloading harmful files. Often, they don’t even realize what they’re doing. You should therefore set up a backup system that requires any downloads to be checked by another party (your IT support staff) before they are allowed into the system. This could improve your network security by accounting for potential employee error.